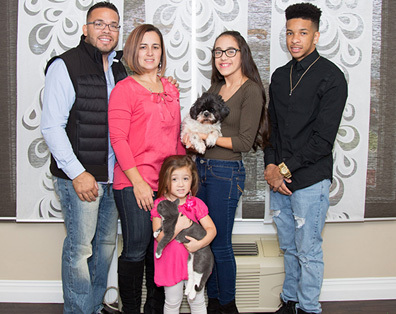 Clean Touch Services, LLC is family-owned and operated right here in Mountville, PA. Since our company opened in 2010, we've treated every customer like they were a part of our family. We are a premier cleaning and painting contractor, specializing in commercial, residential, interior, exterior, and construction projects. At Clean Touch Services, LLC each customer is provided with personalized services by owners Lisa and Steven Feliciano. Our competitive rates, quality of workmanship and immediate response set us worlds apart from our competition. Clean Touch Services, LLC has the experience and manpower to complete every job with excellence. Our talented team of professionals pays attention to detail and communicates your vision with every stroke. Whether you are looking for tile or upholstery cleaning, pressure washing, painting, wall coverings and more, at Clean Touch Services, LLC, we do it all! Let us be part of your world!